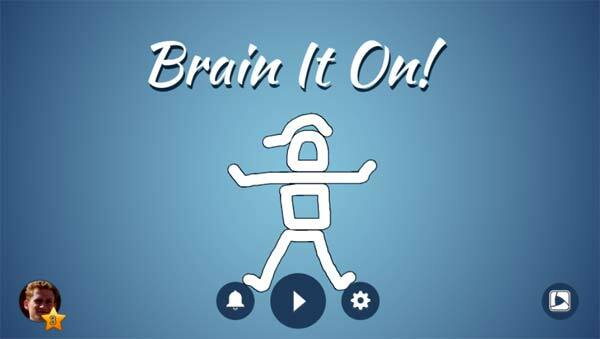 Brain It On! is a deceptively challenging physics puzzles for your brain. Your job is to draw shapes to solve 200 challenging physics puzzles. The goal sounds simple, but they are not as easy as they look. There are multiple ways to solve each puzzle, can you find the best solution? Some of these levels are hard, and if you were stuck in the game please check out the below video walkthrough from level 21 to 40. This entry was posted in Android Games, iOS Games, Mobile Games, Walkthrough and tagged Brain It On!, Brain It On! Answers, Brain It On! Cheats, Brain It On! Game, Brain It On! Game Walkthrough, Brain It On! Gameplay, Brain It On! Hints, Brain It On! Level 1 to 20, Brain It On! Solutions, Brain It On! Walkthrough by Marvin. Bookmark the permalink.